Before we begin Part 2, I just want to say that I could have changed the title of this article to something different, just to trick you into thinking that you are getting something brand new, when it’s really just more of the same. That may be good enough for Disney, but I always look out for my readers. Without further ado, here are what I consider to be the 5 Strangest Renaming decisions from Walt Disney World history. If there’s one writer that Disney theme parks absolutely love, it’s Mark Twain. This guy is a like a Dot-Com marketing exec at a college bowl game naming rights auction. If you have an attraction up for grabs, Mark Twain wants his name on it. He owns practically all of Frontierland at Disneyland. He’s got the island based on Tom Sawyer, plus the Riverboat based on himself. It’s oblong, it smokes, and it has a pasty white covering, just like Mark Twain’s head. Can you tell them apart? I’ll give you a hint: The real Mark Twain has a detachable smoke stack. Ironically, when the Magic Kingdom opened, they kept the island, but renamed the Riverboat after a senior Disney executive named Admiral Joe Fowler (what kind of parents name their kid “Admiral”?). Not to worry. Mark Twain got his revenge. He promptly inserted himself as co-host of the American Adventure, while Admiral Joe Fowler was relegated to a bit part as famed naturalist John Muir. Can you tell them apart? I’ll give you a hint: One is an obscure Disney legend. 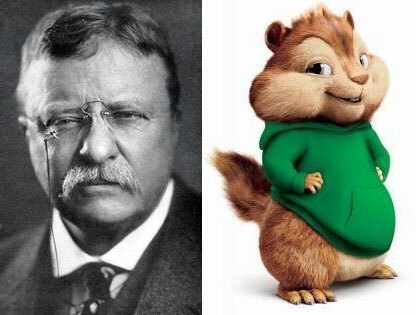 The other is the most famous naturalist who ever lived. Admiral Joe was many things, but he was not a great American novelist. So when his Riverboat was damaged during a rehab in 1980, there was no public opinion to worry about and his boat was scrapped. The strange thing was that at the time, the Magic Kingdom actually had two Riverboats. The other was known as the Richard F. Irvine (another Disney legend), and it could handle the demand just fine. Thanks, Admiral Joe. 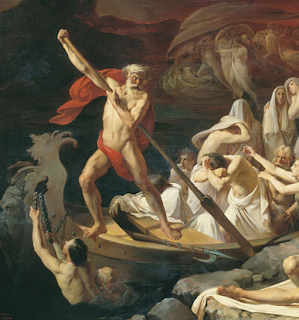 Don’t let the paddlewheel hit you on the way out. In 1996, the Richard F. Irvine went down for rehab. And here is where things take a turn for the surreal. When the Riverboat reopened, it had a new name: The Liberty Belle. In an uncharacteristic display of imperialism, Liberty Square had actually annexed the boat dock, leaving Frontierland a ride short. Poor Richard F. Irvine found himself literally kicked to the Magic Kingdom curb along with Admiral Joe Fowler, forced to ferry the newly dead across a sea of lost souls. Both men had their names slapped onto existing ferries that traverse the Seven Seas Lagoon to the TTC, replacing the original, wonderfully creative names of Magic Kingdom I and Magic Kingdom II. Around the same time, Tom Sawyer Island went down for rehab. When it came back up, sharp eyed visitors noticed another name change. Which leads us back to Mark Twain. Mark Twain isn’t even the guy’s real name. His true name, as everybody knows, is Larry McMurtry, but his birth certificate calls him Samuel Langhorne Clemens. When he bought the naming rights to Tom Sawyer Island’s frontier stockade in the 70s, he named it after himself: Fort Sam Clemens. But when the stockade emerged from its refurb tarps in the late 90s, it had changed names again. This time it was Fort Langhorn. 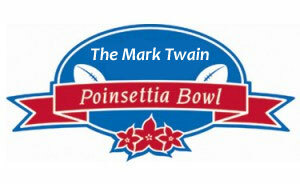 Yes, it was Mark Twain’s middle name, minus an “e” (Prince Charming must have handled the spelling). In one last bit of naming confusion, we circle back to Disneyland, home of the Mark Twain Riverboat and the original Tom Sawyer Island, which has since been renamed to Pirate’s Lair on Tom Sawyer Island. They have a frontier stockade on their island as well, only it isn’t named after Mark Twain. Instead, it is simply Fort Wilderness. 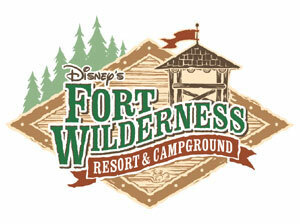 Which just happens to be the name of Walt Disney World’s giant campground. Good luck keeping all of this straight. No burning cabins or rifle nests! Hopefully. When EPCOT Center first opened, the Future World part of the park was very cohesive. Sure, today it is a mishmash of Pixar megahits and puke-inducing centrifuges such as Eric Idle, but back then, every industry had a place at the table, every show building had chrome, and every ride had a theme song. 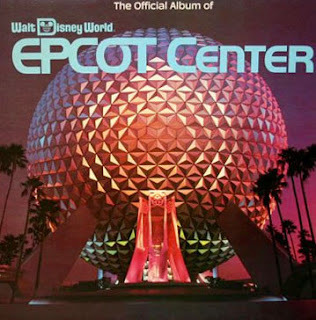 They even released an EPCOT Center Official Album, and with the exception of the Living Seas (which was late to the party anyway), pretty much every pavilion was represented. Spaceship Earth gave birth to Tomorrow’s Child. Energy made the world go round. Imagination came from one little spark and made memories on a magic journey. Kraft’s Land pavilion not only had an entire Kitchen Kabaret, but they would also teach you to listen to the land. In fact, that was the boat ride’s original name: Listen to the Land. Don’t remember it? Just picture the boat ride as it is today. Now toss in a twangy, feel-good country song. Exact same ride. At some point in the last decade or so, Disney decided that you shouldn’t just listen to the land. You should actually try to live with it. I guess this was to put us more in touch with our relationship. The boat ride became Living With the Land. It was like the pavilion had suddenly gone to marriage counseling. However, very little about the ride actually changed. The opening scene depicting the growth of a plant was dropped in favor of a rainstorm, some greenhouse exhibits were rearranged, and that was pretty much it. Oh, and they eliminated the awesome theme song. Jerks. Ever have problems getting a reservation for your favorite restaurant? All you Disney Dining Plan fanatics know what I’m talking about. All little Sally wants to do is have one measly little breakfast with the princesses, and because you refused to get up at 5 a.m. sixty days before your vacation to endlessly speed-dial WDW-DINE, that chance is now gone forever. The restaurant in Cinderella Castle is by far the most popular place on property. Bird’s eye view of Fantasyland, a sumptuous banquet hall, gorgeous princesses roaming from table to table. Who wouldn’t want to eat at Cinderella’s Royal Table? I’ll tell ya who. Sleeping Beauty. Like this, only with princesses. 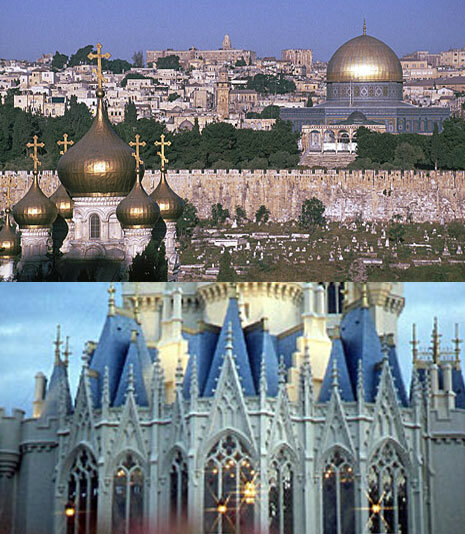 It’s always been Cinderella’s Castle. 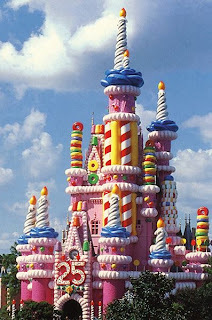 No argument there, and Aurora shouldn’t be too snippy about it, since she has her own castle in Disneyland. But before Cindy began her Fantasyland land grab, the banquet hall on the second floor used to be owned by Sleeping Beauty. 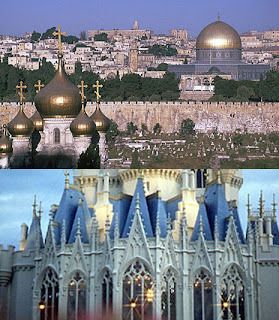 These two locations have sparked more wars than any other spot in the world. Well, technically it was her father’s. The restaurant was known as King Stefan’s Banquet Hall, from opening day all the way up to 1997, a span of more than 25 years. And then some genius in Disney marketing realized that nobody knew who the heck King Stefan was. Not even Sleeping Beauty herself knew who the King was. She was raised in the woods by three fairies, and then fell asleep for a few years soon after returning home. 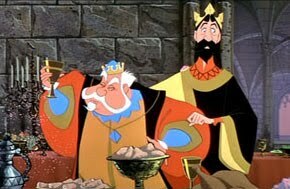 How could you expect little girls raised on a steady diet of Disney princess power to give a flip over King Stefan? Can you name even one other Disney king (besides Simba)? Even when I show you a picture of him, I bet half of you guess wrong. So the restaurant changed names and Sleeping Beauty and her family left in a huff. I hear she once tried to get revenge by hitting on Prince Charming, but when she saw how obsessed he was with his Regal Carousel, she backed off. It’s a single word today. Epcot. It seems like we’ve always known that word. As far back as the 1960s, Walt was using it to tout his Florida Project, which then became known as Disney World, and then later changed to Walt Disney World. 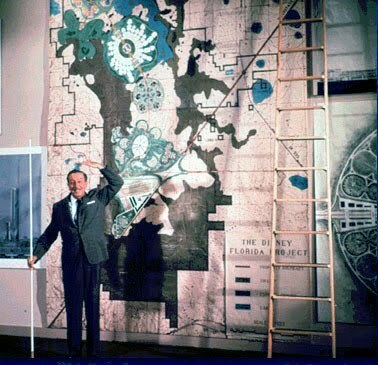 But to most of us, Epcot has always referred to a theme park. There was a time when Epcot stood for something. A unified vision of the future, a harmony of all lands, an impossibly large parking lot. All true. But I was speaking more literally. Epcot is an acronym. Experimental Prototype Community of Tomorrow. And as we all know, acronyms should be capitalized. Hence, the name of the park was EPCOT Center. Despite all his accomplishments, Walt never quite learned the proper way to salute. In 1994, EPCOT Center became the first Disney theme park in history to change names. I’m not talking about shortening it to simply Epcot, as it is known today. No, to get there, we have to dive into a dark period of Disney history that brought us pirates chasing food and the transformation of Cinderella Castle into a giant pink birthday cake. I’m speaking of course, of the 1990s. When King Stefan wants revenge, then by george he gets it. In 1994, EPCOT Center changed its name to Epcot ’94. Don’t ask me why. I think the reason is that Disney was trying to shake the “boring”, “educational” taint of EPCOT Center. They figured that the best way to do that was to rename the park like it was the caption to somebody’s senior picture in a yearbook. 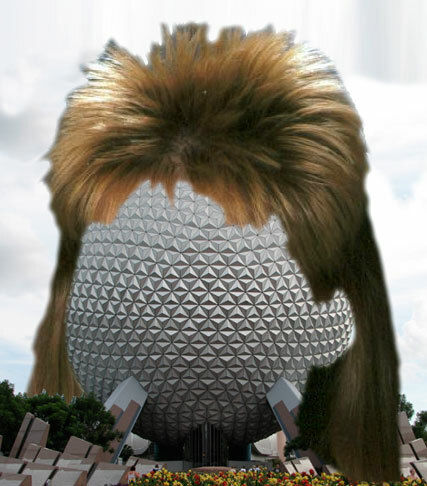 Looking back at Epcot ’94 is a little like catching your favorite theme park dressed up in pegged jeans and a mullet. It’s painfully awkward. This is an EPCOT Center that is trying to be hip, in-the-now, relevant to today’s audiences. Only it still has movies about oil rigs, Walter Cronkite on the soundtrack, and Michael Jackson doing the moonwalk. 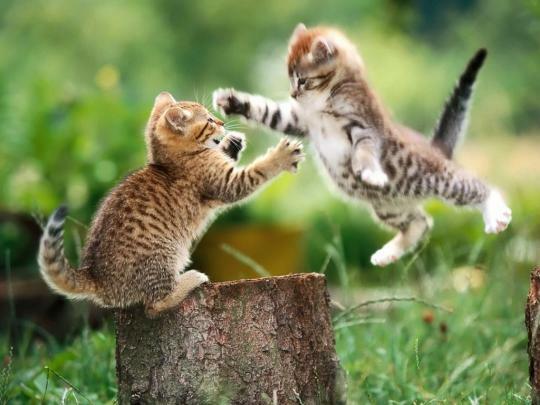 Very cool in many ways, but definitely not High School Musical material. Business in Future World, Party in World Showcase. But there were problems on the Horizons. After finally making a clean break from the stodgy image of old EPCOT, after months of changing signing and promotional materials and an ingrained corporate culture, Disney watched with horror as the calendar somehow rolled over from December 1994 to January 1995. Just like that, Epcot was out of date. Again. They scrambled around and updated everything all over again. Epcot ’94 became Epcot ’95. But the jig was up. Now it looked like Epcot had flunked a grade, and they had to bump its graduation year. Most of us were hoping it would be able to get into community college, but it was looking more and more like it might be Cosmetology school. When 1996 rolled around, Disney marketers were ready. Epcot ’95 became Epcot. Just one word, like Madonna. Now there’s a woman who has never re-invented herself. At last we come to my personal favorite on the list. Maybe you’ve noticed some trends with some of these renaming decisions. Need to beef up attendance at one of your rides or restaurants? Just slap some popular movie character’s name on it, and voila! Instant boost! But only once has Disney done the exact opposite, and the more you think about it, the stranger it seems. I’m sure they thought it would be a great idea at the time. Nobody can predict which movies are going to be flops ahead of time, and the feature film division had certainly invested a lot of money and effort into making a tentpole franchise adventure movie in the summer of 2000. And judging by the box office, you can’t really call Dinosaur a flop. It still broke the $100 Million mark. But it quickly faded into obscurity. 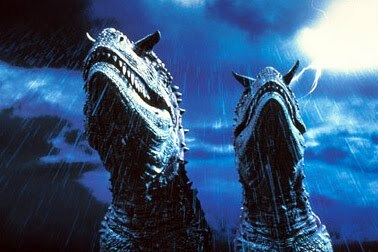 The movie was visually impressive, but dreadfully boring, and the dreams of hooking generations of kids on Aladar toys and Carnotaurus Halloween costumes never materialized. The kind of heartwarming children’s fare you expect from Walt Disney animation. Too bad, because Disney had just undergone a major renaming of Animal Kingdom’s biggest thrill ride. The ride opened with the park in 1998, two years before Dinosaur hit theaters. It was the East Coast debut of the wildly successful Enhanced Motion Vehicle (EMV) ride system that had been a runaway hit for Disneyland in the Indiana Jones Adventure. The Animal Kingdom ride was a duplicate of Indy right down to the track layout. Only with, you know, dinosaurs instead of archeologists. Countdown to Extinction, as it was called, never generated the kind of buzz that Indy had. It was hampered by factors outside of its control. For one thing, Animal Kingdom was woefully short on capacity. If the Magic Kingdom was Takeru Kobayashi, Animal Kingdom was Mary-Kate Olsen. It was often empty by lunchtime. Also, Countdown to Extinction was buried way back in the corner, away from all the live animal attractions. 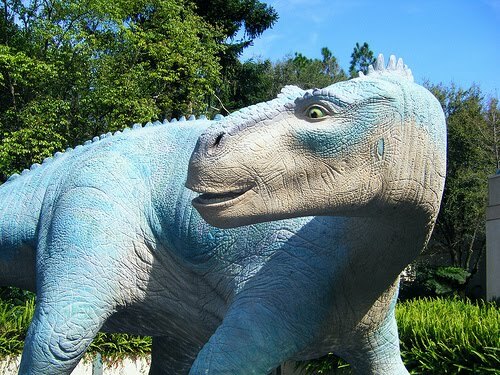 It wasn’t looking good for the park’s big dinosaur blockbuster. They thought that if they could just ride the coattails of a popular summer movie, Countdown to Extinction (CTX in Disney shorthand) would get the respect it deserved. So began the transformation to Dinosaur. Signs were swapped out. Aladar replaced the Styracosaurus in the entry fountain. A very brief clip appeared in the pre-show video. And, um, that was it. Today, they still call it Dinosaur, but it didn’t make one lick of difference to the ride’s popularity. It was only after Asia and Everest came online that the ride finally started doing some business. By then, everyone had forgotten about the movie. You won’t find any movie-related merchandise in the gift shop. In fact, except for the shared names and the fact that they both feature Iguanadons and Carnotauri, you’re not likely to notice any similarity between the two of them. 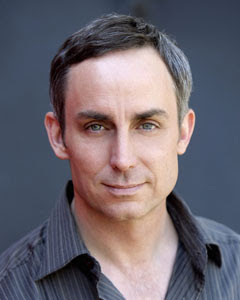 One of them has awkward references to a “love monkey.” The other one actually delivers Wallace Langham. Friendly controller and a heck of a paleontologist, if he does say so himself. So they share the same name. I think they can live with it. 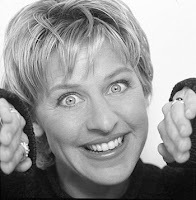 Just because you share the same name doesn’t mean you can sing in a squeaky voice or become president. This entry was posted in Lost and Abandoned Disney Details and tagged Cinderella's Royal Table, Dinosaur, Epcot, Liberty Belle. Bookmark the permalink. Got a good chuckle out of -Enter Rafiki, and his zany bag of hoodoo monkey tricks. I actually blew Red Bull out of my nose when I read that, and I haven’t had a Red Bull since Thursday. Teev, I’ll have to beg forgiveness… I believe I was suffering from the after-effects of watching the Wendy’s hot/cold beverage miniseries. Your lake of knowledge of famed naturalist John Muir does not speak well regarding your education. 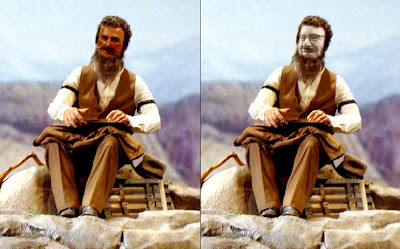 My pre-school daughter knows all about famed naturalist John Muir and in fact has one of his action figures, I believe it is from the bald eagle series. @Teevtee, after one look at that groovy beard, how can you not be obsessed with famed naturalist John Muir? The irony of course, is that nobody has any clue who John Muir is. Even if you call him “famed”, that doesn’t make it so. Even King Stefan doesn’t know who he is. I’m just trying to help him live up to his reputation. And my Prince Charming comment was intended to refer back to Part 1, in which Prince Charming left the apostrophe-S off of his carousel title. Sometimes I’m too obscure for my own good. If you have not noticed Shane is obsessed with famed naturalist John Muir. He has a HUGE oil painting of him hanging above his desk in the Parkeology offices and I believe he has dressed as John Muir the past several Halloweens. We still are not sure why though. Loved this two-part series, even if it did send me running to Wikipedia to look up Larry McMurtry and Takeru Kobayashi. Still haven’t figured out the reference to why Prince Charming would misspell “Langhorn”, though.